With the launch of the International A26 engine earlier this year, International Truck introduced a powerful new 12.4-liter engine designed to provide industry-leading uptime, durability and reliability. Now, International is demonstrating its confidence in that uptime assurance by backing it up with the International A26 Customer Uptime Assurance Program. "The new A26 big bore engine was designed with uptime in its DNA, and the best customer support in the business," said Michael Cancelliere, president, Truck and Parts. "We are so confident in the unparalleled uptime offered by the A26 that we are now offering a program that provides customers financial reimbursement if our uptime commitment is not met." The International A26 Customer Uptime Assurance Program is simple. 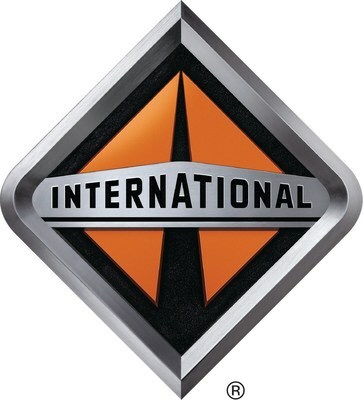 If a customer experiences a warrantable failure on an A26 engine within its two-year standard warranty period, and experiences downtime greater than 48 hours from the time of diagnosis, International Truck will provide the customer with a $250 International Advantage Card, good for future parts and service purchases at an International dealership, subject to standard conditions. Customers may be eligible for a maximum of 8 cards per vehicle over the two-year period, a value of as much as $2,000 per vehicle. The program applies to all stock and sold vehicles in the International LT Series and the International RH Series that are powered by an International A26 engine and enrolled in the company's OnCommand Connection Advanced Remote Diagnostics system or its OnCommand Connection Telematics. Customers should contact their local International Truck dealer for program details. In pursuit of improved uptime, International Truck designed the A26 engine for increased service intervals that keep customers on the road longer, including oil, aftertreatment, and best-in-class coolant service interval in the International A26 engine at eight years, 15,000 hours and 1.2 million miles. "By design, the engine coolant and the A26 will perform for years to come for customers who order it in the LT Series or RH Series vehicles," said Darren Gosbee, vice president, Powertrain. "Our engineers continuously test and validate the A26 engine, and the team approved the extended coolant service interval in an effort to provide customers with additional efficiencies that help them reduce their total cost of ownership." With the industry's largest dealer network, International Truck customers can purchase a truck with the A26 engine and find the service support they need when they need it. Every region served by International Truck includes Rapid Response Teams who are trained to provide dedicated support for the A26 engine. They consist of technical experts who are certified to understand even the minutest A26 engine detail. Driven by a commitment to deliver customer uptime in the Class 8 market, the A26 engine was developed through an initiative called Project Alpha, which brought together a new team of the industry's foremost powertrain engineers. Built from the proven MAN D26 engine crankcase, the A26 engine produces up to 475 horsepower and 1,750 lb.-ft. of torque from a design that is 600-700 lbs. lighter than a traditional 15L big bore engine. Its components have been carefully engineered to deliver uncompromising uptime as well as class-leading fuel efficiency, reduced weight and quiet operation.